My last long-term test car was a Hyundai i30 N, which I adored. 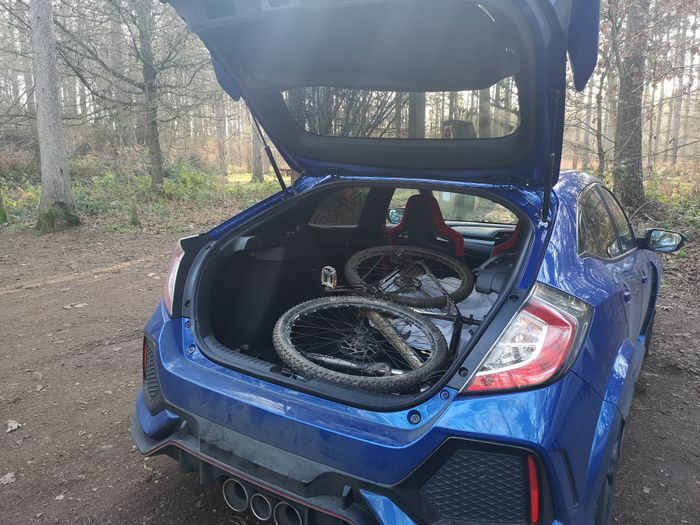 But jumping from that to this Civic, it’s struck me that the little bit of slack you get in the Hyundai (admittedly not much), just isn’t present here. From the super-sharp steering to the unbelievable bite of the front-end, there’s a tautness here that goes above and beyond the rest of the class. It is more susceptible to wheelspin than I recall, however, particularly in damp conditions. Very careful modulation of the throttle is required to avoid severe axle tramp smashing through the cabin unless it’s bone dry out there, and at this time of year, it rarely is. 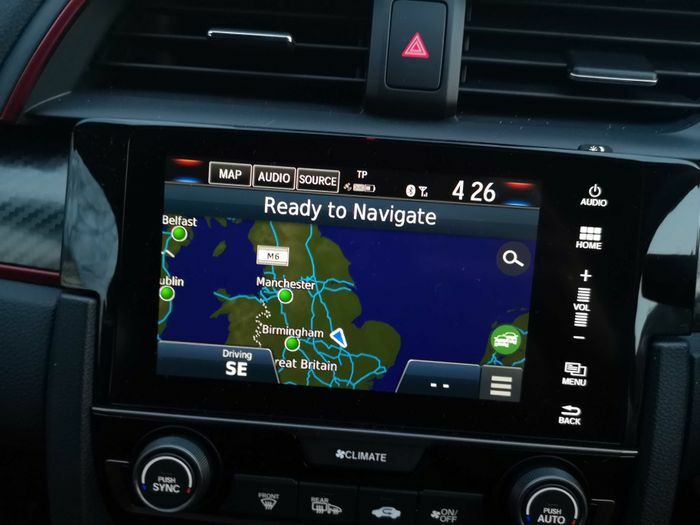 More so than any other car I’ve driven lately, I find myself ditching the standard-fit navigation system for Google Maps in the Type R. The Garmin-sourced unit seems intent on sending you on baffling routes which will quite clearly take longer (it has a thing for sending you straight through city centres rather than around them), and when you go a more logical route, it will constantly try and send you back to its chosen path rather than figure out what you’re trying to do and redirect. It also seems clueless about traffic conditions. I’ve often had both the Type R’s system and Google Maps running simultaneously, and during rush hour conditions, the former has given an ETA that’s anything from half an hour to an hour later than Google’s. It’s only when you’ve been sitting in a jam for about 15 minutes that it figures out what’s going on and provides a more realistic arrival time. What's the maddest looking car out of these two? It’s been over two years since the production-ready Type R concept was revealed to the world, and yet I still find myself studying the final product and marveling at just how crackers it is. The huge rear wing, the vortex generators, those giant 20-inch rear-wheels - there’s a lot to take in. Certainly, when we posted the first few images of the car on Instagram, there seemed to be plenty of negative reaction to the visual madness. It’s far from pretty, and the awkward styling of the standard Civic - complete with many nasty fake vents - isn’t the best starting point to add aero bits to, but I always find myself appreciating the way it sticks out so conspicuously. I always said the old one was the maddest-styled car this side of a Lamborghini, and that’s the case with the new one too. Perhaps the placement just isn’t ideal or maybe the problem is exacerbated by the Type R’s aggressive aero, I’m not sure. What I do know is several times I’ve had to clean the reversing camera, only for it to be covered in dirt just a few days later. 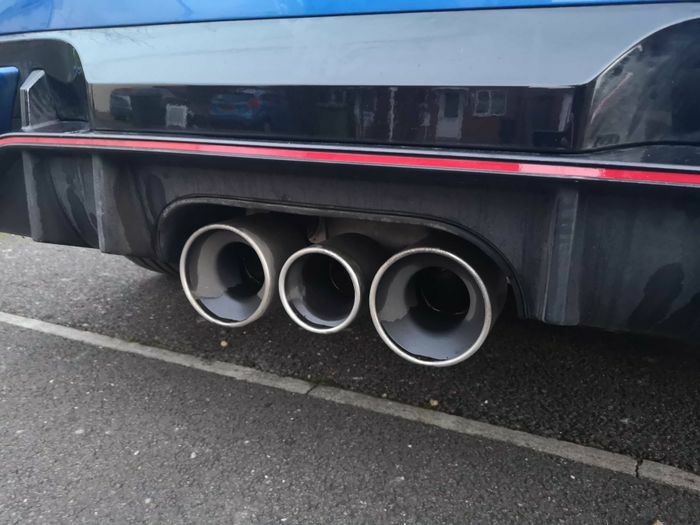 The time of year and the associated condition of the roads doesn’t help, but it seems more of an issue here than in any of the other cars I’ve run in winter. If you’re a fan of N/A Honda performance engines and the lovely noises they belt out at high revs, you’re probably going to be disappointed by the 2.0-litre turbo lump in the FK8. But, if you do rev it right out to the redline, you do find there’s a pleasant bit of zing to it in the final few hundred RPM. It’s just a shame this isn’t teamed up with some pops and bangs a la i30 N, even if they’d need to be artificially induced. 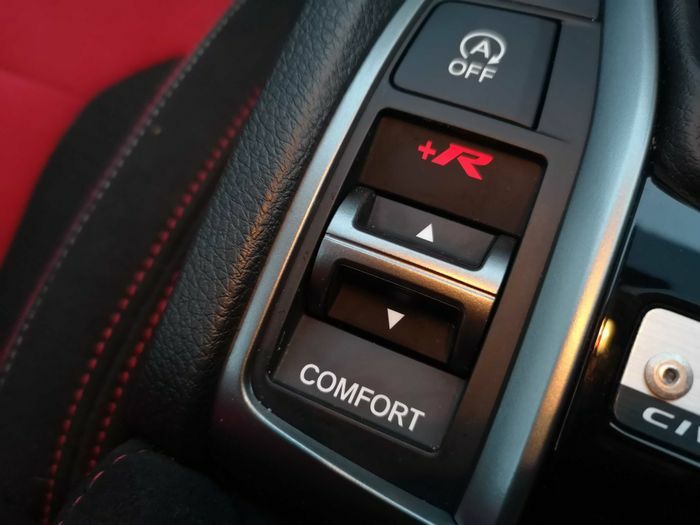 Praise be: the Type R is now much more comfortable on the road. 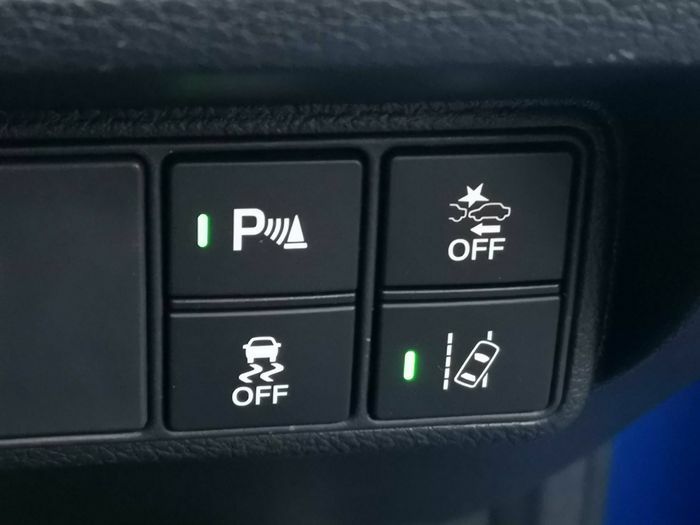 Yes, having three driving modes does help, but you can leave it in the firmer Sport mode - which the car defaults to - without fearing every speed bump and pothole on the route. And now, you can actually use the +R mode away from the track without wrecking the body control. And your back. 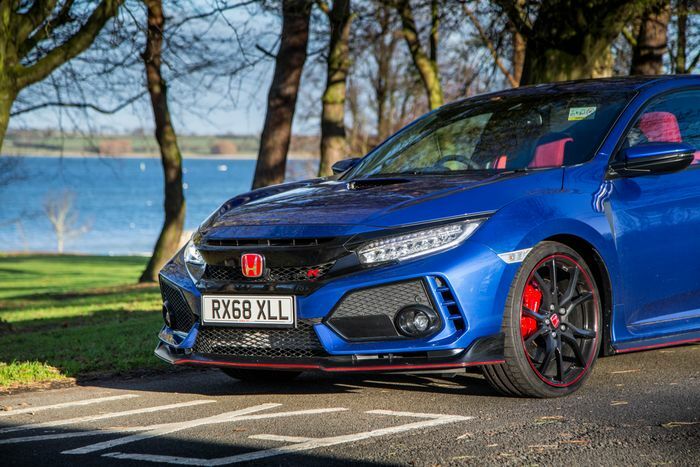 Go for the Type R GT - which most buyers do - and your Civic will be loaded up with all sorts of safety gear. Doesn’t sound like a bad thing, as one of them might just prevent an accident at the crucial moment. The trouble is they go off all the time when there’s seemingly no danger. 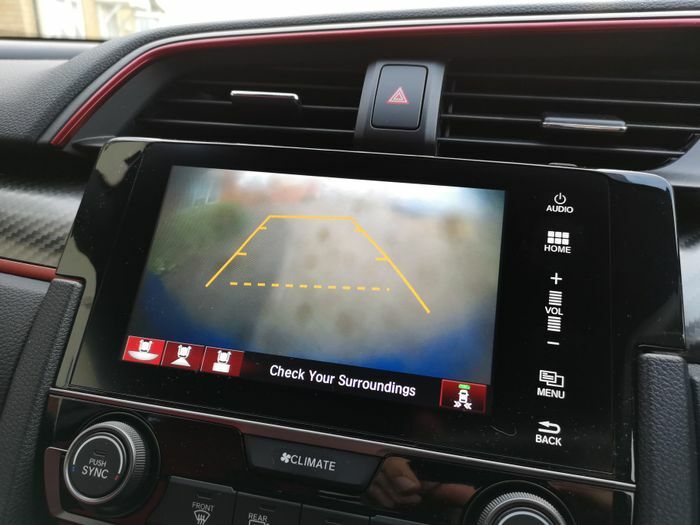 I’ve often found the side proximity alerts bonging away for no perceivable reason while sitting in traffic, while the front collision warning seems convinced you’re about to plough into the back of the car in front even when you’re braking sufficiently and the ‘hazard’ is far in the distance. 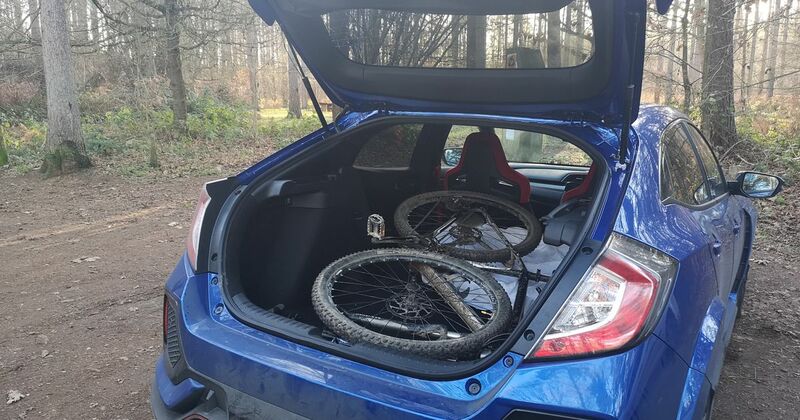 At 479 litres the Civic’s boot is about 100 litres larger than the VW Golf’s, and the opening of the hatch itself is giant, making loading big, bulky items a breeze. With a little fiddling I reckon you’d get a mountain bike in whole. Above you’ll see a large-framed 27.5-inch MTB fitting in beautifully. The only reason the front wheel is off is because I got impatient. If you’ve felt the need to procreate, you’ll find dumping a big buggy in the boot very easy. The Isofix mounting points are easy to get to also - they’re hidden behind fabric flaps. The one mark against the car? Like other Civic Type Rs before it, the FK8 - bizarrely - is only a four-seater, as there’s no third seatbelt in the middle of the rear bench. As well as continuing to use the FK8 as a daily, we have a whole load of exciting comparisons in store. 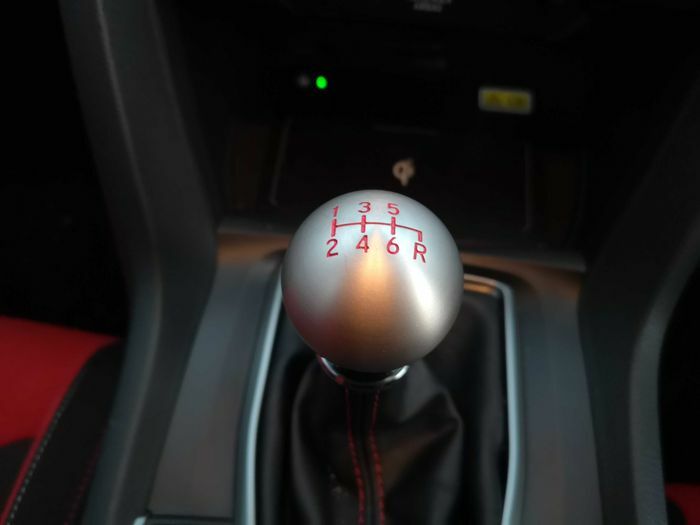 We’ll be bringing it together with the FK2 Type R to see how much the game has been moved on, and pitching it into battle with some contemporary rivals. Stay tuned! Recommended car throttle shop Worldwide Shipping In The CT Shop Car Throttle Submit Your Videos To Get Featured On Our Social Channels Blog In-Car Voice Control Still Isn't Perfect, But I'm Warming To It Blog Everything Good And Bad About My £140 BMW E46 330i Blog Here’s Why Germany Must Not Abandon The Derestricted Autobahn Blog Why A Brand New Interior Is The Processed Meat Of Car Smells Blog The Grand Tour’s Emotional Latest Ep Reminds Us What We’ll Soon Be Missing Blog Here’s Why We Can Love Automatics – But Not Single-Speeders Blog 8 Exciting Car Reveals To Look Out For In 2019 Blog Why Are People So Angry About The New A90 Toyota Supra?